Anne has been working in the Fremont clinic since 2006. 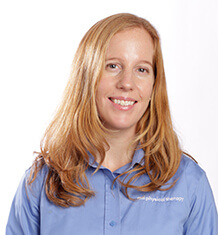 She specializes in orthopaedic manual therapy and is experienced in treating a wide range of musculoskeletal injuries including post surgical cases, complex spine injuries, and injuries related to sport activities. She has experience in return to sport rehabilitation treating master and professional level athletes in sports such as ski racing, rowing and olympic lifting. She has continued her post-graduate training through the Ola Grimsby Institute gaining her certification as an orthopaedic manual therapist and is a recognized Fellow of the American Academy of Orthopedic Manual Physical Therapists. Anne’s second love and part-time profession of ski instruction has allowed for a special niche practice of working with skiers on their performance goals blending her skills as a physical therapist and ski instructor in the clinic and on the hill. Anne provides functional assessments, boot fitting references, and exercise progressions focused on the needs of skiers and snowboarders in particular. Anne is a Level III PSIA trained instructor at Mission Ridge in Wenatchee, WA and has assisted with education and training of instructors in the NW region. In conjunction with her expertise in treating orthopaedic cases, Anne has specific training in women’s health. She is knowledgeable in evaluating and treating pelvic floor weakness, and pelvic pain with use of biofeedback and internal/external sensors to more effectively identify muscle impairment. She has ?found that her expertise in treating women’s health-related issues in conjunction with her orthopaedic specialty, provides a more complete understanding and complete rehabilitation of lumbo- pelvic conditions.